I actually read The Year of the Flood a couple months ago and forgot to review it. 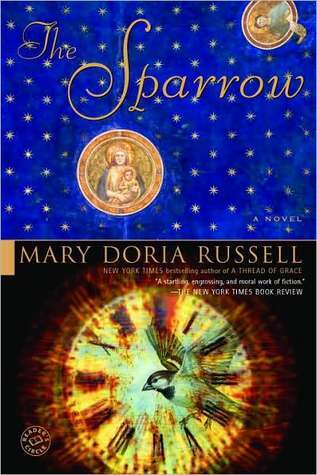 It's the sequel to Oryx and Crake, which is a very good book. It's all that futuristic "we killed the earth" stuff I can't get enough of. I'm afraid Book 2 isn't quite as good. I found myself wondering why I should care about any of the characters. Plus it had these really long songs in it from this weird, made-up religion. Could have done without those, as I basically paged through the lyrics. I probably missed something vital, didn't I? 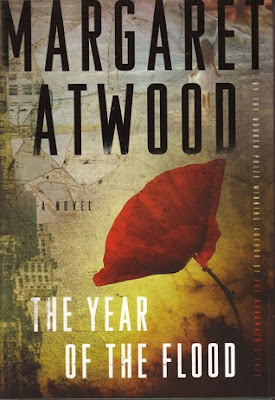 In any case, I will probably still read the third book in the Maddaddam trilogy, which I believe is as yet untitled and scheduled for release in 2013. This is yet another sequel, this one to John Dies at the End, which I sort of loved. It was just so freaking weird and scary but fun. 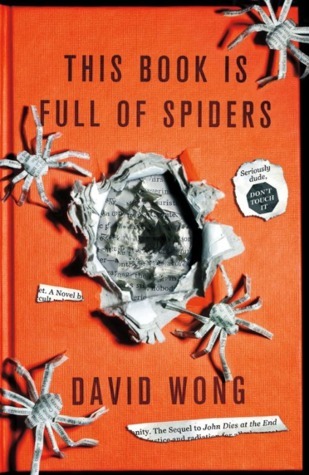 And somehow, Wong manages to keep that up with Spiders. It's a little Invasion of the Body Snatchers, but stranger. There is a little something lost in that the novelty of Wong's writing style is no longer novel, but I still enjoyed it quite a bit. Incidentally, David Wong is apparently a pseudonym for the author, whose real name is Jason Pargin. According to Wikipedia, he'd had some concerns about the merging of his online and true identities. Wow. So The Sparrow hooked me when I realized it was set in the future and much of it takes place on another planet. It reminded me quite a bit of Contact in places, but in other ways it is much, much different. The basic plot is that a group of people have been sent to an Earth-like planet, but only one has returned, damaged in both body and spirit. It's a long novel, but a quick read because you're inching ever closer to the answer to the mystery of exactly what happened. I found it extremely imaginative and well-written. Now, of course this novel is the first in a series, but I think it stands perfectly well on its own if you're not into that. But I will definitely be reading the second book, Children of God. 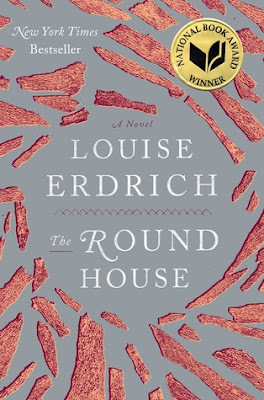 Erdrich's book has been receiving a lot of notice and awards, and rightly so. I'm thankful to have read many good books this year, and this one is at the top of the list. A lot of times I don't agree with the critics because highly acclaimed novels are so often weighed down in fancy vocabulary and detail. But this is not one of those times. It's extremely well-written and detailed, and just a very, very good read. It's written from the point of view of a 13-year-old Native American boy whose mother is attacked. The story takes place on a reservation in North Dakota in the '80s. The characters are all superbly thought-out and the story is very compelling. This one won't disappoint. What have you all been reading? I just started A Discovery of Witches on the recommendation of a couple friends, and I'm enjoying it. And yes, it's a series! This is some guilty pleasure stuff. I still haven't finished Let's Pretend This Never Happened, although it is definitely entertaining ... not sure what's keeping me from finishing that. I also started White Jacket Required and have been stalled on finishing that one ... WJR is a book by a food blogger I read -- her recipes are the best. Perhaps the issue with the blogger books is that I kind of already know the story. Anyway, tell me your recommendations, and friend me on Goodreads if you haven't already! P.S. If you've liked me on Facebook but don't see my updates, there is a way to make sure you see them all. Just go to my page, hover over the Like button, and choose Get Notifications. This is the only way I'm aware of to ensure you see all the posts you want to see. I just finished the most recent, authorized biography of author Roald Dahl, called Storyteller, which was a hefty 568 pages but so fascinating I couldn't put it down. By far one of the most interesting and engrossing biographies I have read. I have probably recommended Carlos Ruiz Zafon before, but if not, his "Cemetery of Forgotten Books" series is excellent. Start with Shadow of the Wind. Three are out now, with a fourth and final book coming maybe next year, hopefully. I noticed you gave the Dahl biography 5 stars on goodreads! Just added it to my to-read list. I'll give Shadow of the Wind a shot, too. I hope your read Bossy Pants! My fear of spiders is so real and irrational that I could never read that book simply because it would involve touching my fingers to the very fake, very flat spiders on the cover.